Just like the water that rushes from the river, Yang Water people go after what they want despite any obstacle. These people are well liked because they don’t crush what’s blocking their way, they merely look for an alternate route and adapt. The people under this sign have a lot of brainpower and they are very flexible with the way they think and they find inspiration in everything they see. Hence Yang Water people make great entrepreneurs. These people always have something going on in the same way that water runs deep and consistently. Yang Water people are not the types who would sit on the sideline as they want to socialize and be active participants. They love their freedom which includes going on adventures to seek new heights and once something prohibits them from enjoying this freedom, they might react with a bad temper. Every water surface needs boundaries, without them they flood all over the place, becoming useless and in the end dangerous for their surrounding. Despite being free spirits, people under the Yang Water sign want things to be in proper order. Gifted with their analytical and logical abilities, people under this sign can see things from all angles and see the bigger picture without being hampered by their emotions. People under this sign have the ability to give the task at hand their full attention so they can provide solutions to problems quicker than everyone else. These people could think without being clouded with emotions although those with a weaker Yang Water element might struggle to achieve the balance between feelings and reason. Like deep ocean water which contains many secrets and unexplored areas, Yang Water people have deep memories and stored information which is reserved for the things that are important to them. Given their methodical and systematic approach, they can finish the tasks efficiently since they can summon the details from memory. Given how analytical Yang Water people are, they are very meticulous when they need to make a decision as they consider each detail with care. Even if they think fast, they do not base decisions on impulse and they take their time which in itself could be a problem as they may have a tendency to overanalyze everything. While people under the Yang Water sign are gifted with superior intelligence, they can also be too conscious about how others see them. Often, they need the approval of the people surrounding them to be confident about themselves. Since Yang Water people are very conscious of their status, they often feel inferior when they are not holding the highest position. When people under this sign are not the top dog, they could shy away from the world due to their inferiority complex. By nature, people under the Yang Water are driven and motivated and even if they undergo moments of low self-esteem, they bounce back and become better persons. The act of doing something is enough to boost their enthusiasm and they always feel the need to solve any problem and overcome any obstacle. Water needs constant movement, if it gets stuck it becomes stale. Therefore Yang Water people are feeling the best when they are onto something and it involves physical movement. 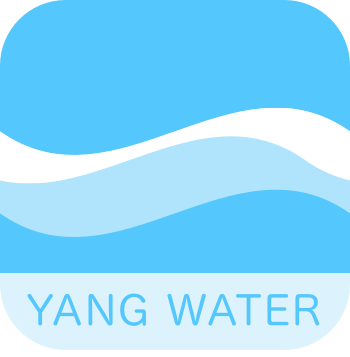 Yang Water is strong if born during the autumn months, prosperous if born during the winter. In spring and summer, Yang Water Master Element is usually weak. Metal elements make Yang Water stronger, especially Yang Metal. When Yang Water is overwhelming they become directionless, flooding all over the place, therefore they need Yang Earth to set up boundaries and protect water from flooding. Yin Earth is not so effective though, it makes the water muddy. In featured characteristic, we point out some special issues which are essential to understand and deal with Yang Water people. Yang Water people are usually rich in information. Like ocean which can keep a lot of secrets in their depths, Yang Water people are able to collect and store a massive amount of information which they can pull out whenever they need. Often they are very interested in business, especially if in contact with Yang Fire element which gives them speed and fast friction to react to things and execute ideas. Yang Water is constantly moving, and it’s quite difficult to restrain them. They enjoy to be free, but this sometimes can go out of control, therefore they have to learn how to be peaceful as well. If Yang Water is weak, and in contact with a lot of Yin Earth, it will make them dirty and muddy, negatively reflecting on their emotions and health as well. They are also excellent copy cats, they only need to see things ones, and they are already on the way to reproduce it. This ability is shown the best in the way how Bill Gates, who is Yang Water Master Element, famously copied operating software from Apple (Steve Jobs, Yang Fire). The Yang Water absorbed and reflected the light of Yang Fire and reproduced it as a new business. Urinary bladder, lower leg, and ears. A person with a balanced Yang Water is likely to live a life blessed with good health. Excess or deficient Yang Water may manifest in urinary bladder problems, back pain, weak knees, or poor blood circulation. The great ocean is never contained. Absorbing the light to promote growth and life. Keep you clean and pure for all generations to know. You may never stay or be seen again. No other element can compete. As you are a reflection of your surroundings. But history will never forget.